Total Solutions NP, LLC provides a vast range of services for all of your construction and renovations needs. Specializing in Kitchen and Bathroom remodels, Total Solutions will work with you on turning your visions to life. The Raystruction Group LLC is a company founded by Raymond Chung on the basis of simplicity and affordability. Our take on a job is simply do the best job possible and guarantee it, our unmatched warranty backed by The Raymond Standard means that you'll never be left with any issues after a job, if it's not done right we'll make sure it is to the very last step. With Raystruction you are guaranteed to be satisfied the moment you contact us, we don't accept anything less that picture perfect perfection. We have one goal, and its to be simple! That's it, we're driven by simplicity and affordability, that is our goal and mission. We have started our 30th year in business in Ocean City, New Jersey as a premier builder & remodeling company. We are the only certified contractor for Therma-Tru Fiberglass doors and Wellborn cabinetry. Need window or door repairs on your Andersen products? Our carpenters are Andersen factory trained. We install new products and service your existing windows & doors with parts in stock for fast installation to protect your home or business. We recommend the following upgrades on your Andersen windows to our shore home clients: stainless steel hardware & hinges, high performance sills with stainless steel parts to resistant corrosion, smart-sun low-e glass, dry silicone lubricant on all rollers and lock parts. We also remodel kitchens, bathrooms, fireplace mantels, home entertainment centers, & complete interior drywall repair and painting. Is the outside of your home looking weathered from the shore environment? Why not have us replace your roof, siding, windows, doors, composite/fiberglass decks and new vinyl railings. Our own highly skilled carpenters perform all our carpentry work taking pride in their work, resulting in a nicely finished job. This will enhance the quality of life for you and your family while protecting your real estate investment. Please contact us for a consultation at your home or visit our showroom. 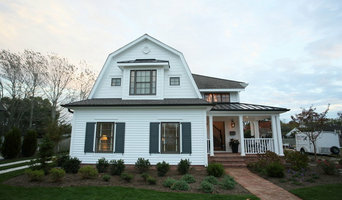 Poole Contracting is a Custom Home Builder and Home Improvement contracting company located in Bishopville, Maryland serving Worcester County, MD and lower Sussex County DE. 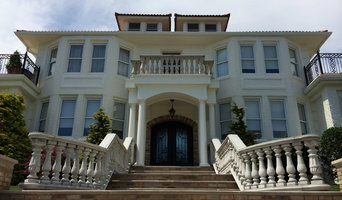 Our specialty is the conception, design and construction of Custom Homes and high quality home improvements. Whether your job is a small bathroom remodel or a 5,000 sq. ft. custom home, we pay the same particular attention to your personal needs, concerns and intricate details. We pride ourselves on providing turnkey, quality crafted work with full service before, during and after the sale of every job! We love all jobs, small to large! So don't think that your job is to small.. give us a call. Contact Us for a free quote on your next Home Improvement Project! 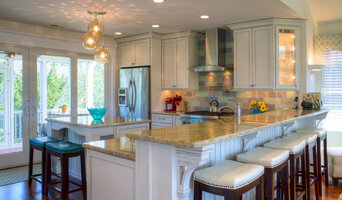 Broadpoint Custom Homes is a full-service home builder located in Rehoboth Beach, Delaware. Founded in 2010, Broadpoint’s services range from conceptual planning and design through the completion of a customer’s dream home. Broadpoint prides itself on providing exceptional customer service throughout the home building process. With 75 years of combined experience, Broadpoint pairs technical expertise and quality craftsmanship with market-leading technology to give each customer a home tailored and customized to their every need. We are design professionals, engineers, and construction managers, every member of our team is committed to quality craftsmanship with an unwavering focus on the customer experience. Extensive backgrounds in real estate development, construction, engineering, and finance enable the Broadpoint team to create a collaborative process during which goals and budgets are defined and executed upon with precision. 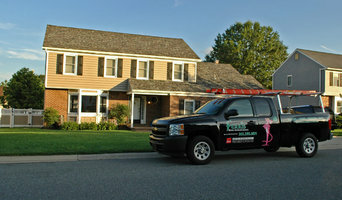 At KHE Construction Corporation, we work exclusively on Long Beach Island, NJ so that we can be on your site every day. In today's market, that means your custom home project gets constant attention until it's done. Each home, combined with its building lot, presents a unique situation. Regardless of the terrain or the style, we focus on one fact: the end result must be as quiet and energy efficient as possible. You have many companies to choose from. Consider KHE Construction if attention to detail is important to you. We're a corporation with thirty years experience in building beautiful, finely constructed homes. Savini Complete Construction was formed to provide clients a home building experience that is comfortable, enjoyable and efficient. It is a privilege to provide our customers with the home they want, with quality craftsmanship and the personal touch they may not find with another builder. Customer satisfaction and getting the job done right the first time are always a priority, all while keeping the customers budget and desires on the forefront. D&T Builders LLC is a Construction Company in Atco, NJ. 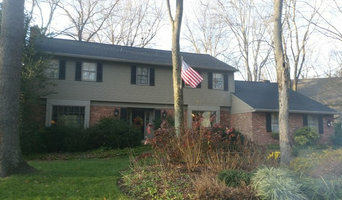 We have been in the remodeling and contracting industry since 1984. We pride ourselves on client satisfaction, as well as quality of work. Contact us for your next project! General, or construction contractors, are often known as project managers. They oversee the entire remodeling or new home construction project and facilitate all day-to-day tasks that move it toward completion. A Stone Harbor general building contractor will work with your architect to review plan as you build a house and ensure everything is in place before work is started as well as arrange for permits and necessary inspections. While good local home improvement contractors in Stone Harbor will have the skills to handle certain tasks onsite, such as carpentry, he or she is also responsible for hiring subcontractors for the majority of jobs, such as electrical work, painting or plumbing. In addition, the general contractor should be on-site regularly to inspect the progress and resolve issues. Here are some related professionals and vendors to complement the work of general contractors: Architects & Building Designers, Interior Designers & Decorators, Landscape Architects & Landscape Designers, Kitchen & Bath Designers, Specialty Contractors. Home remodeling contractors are a must for successful completion of a renovation. Because of this, it's essential that you do your homework before deciding on the right general contractor in Stone Harbor as you remodel or build a house. Inspect bids carefully. Was it ready when the contractor promised it? Was the bid for building a home unusually high or low? Each of these things can be very telling: A late bid may reflect timing standards, and an off-the-mark bid could be code for a pricey premium or a deliberate underbid to score the remodeling job. You should call references, carefully read reviews and visit completed projects in Stone Harbor, NJ to see if they’re what you expect for your job. Once you do secure your local Stone Harbor contractors, read the contract very carefully to be sure everyone is on the same page. Find a Stone Harbor contractor on Houzz. Narrow your search in the Professionals section of the website to Stone Harbor, NJ home contractors. You can also search for photos in Stone Harbor, NJ and contact the Stone Harbor general contractor who worked on the project.